Residential plumbing is important. Your home is where you and your family like to relax. Your home is something that you treasure and care for, so if there is ever any issue you take care of it. Plumbing can be tricky, and doing it yourself can end up damaging your property even more, which in the end becomes a costly nightmare for you to have. None of this is any fun. The last thing you want to deal with is some sort of bathroom issue. You wake up, you have work to do, kids to take to school, and you just want to take a nice, hot shower. You turn the knob, and it just starts spitting and making terrifying noises. This can ruin the rest of your day and put everything on halt. It may seem like calling up your friend or doing some internet research is all it would take, but when you are dealing with things that hook up to main sewer lines, you might just make the whole situation worse. 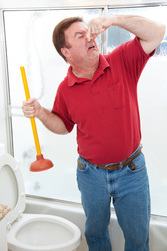 A bad plumbing issue can hurt your home and could be hazardous to your health, let alone unsanitary. Do not worry, if you are in the Lexington, Kentucky area we have you covered. Ace Plumbers are you ace in the hole. 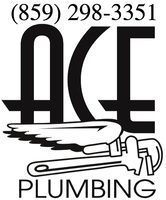 The ace up your plumbing sleeve, we can take care of any of your plumbing needs. We are part of your community and care about you and your home. We know how important your home is to you and your family, and we want to be your first choice of plumbing. You are busy with your home and your life, do not let plumbing get in your way and stop you. Call up Ace Plumbers today and we will help you with any kind of plumbing issues you may have. We believe in taking care of our customers like they are our family, so we are always willing to answer any questions you may have. We will walk you step by step through whatever your plumbing issues may be so you can feel confident that job is done right the first time. Make sure you are not jeopardizing your home and family with some amateur patch job. We will take care of the problem and fix the job right the first time so you can sleep well, confidently knowing that your shower will be hot and ready for you the next morning to take on your day. Ace Plumbers are all trained professionals with experience in the business. ​We want to be your first choice of local, Lexington, Kentucky plumbers. We can take care of any issue you may have in your bathroom, from shower to toilet to sink. We will make sure everything is done to the highest form of professionalism. Perhaps your house has not had any problems yet and you are looking at preventing any future issues. If that is the case, do not even think about hesitating. Go ahead and reach out to us right now and we will do our best to help you here at Ace Plumbers!